Inspired by the needs of entrepreneurs and start-up culture, Aluvion is continually searching for innovative and cost-effective solutions for our clients. We are happy to announce the newest addition to our suite of legal services; our Family Law Practice. Our clients are busy professionals. Many are entrepreneurs and company founders. We understand the unique challenges our clients are facing both at work and at home. Led by Stephen Eaton, our team of family lawyers is ready to assist you on any of your family law related matters. From pre-nuptial agreements to divorce, Stephen and his team are ready to help. Our team of family lawyers is ready to help our clients achieve the most successful outcome using the most practical means of resolution, whether through negotiation, mediation, arbitration or when necessary, court. Building a successful and sustainable business has its social downside as it often comes with financial strain and a lack of communication among loved ones, leading to strained familial relationships and or family breakdown. 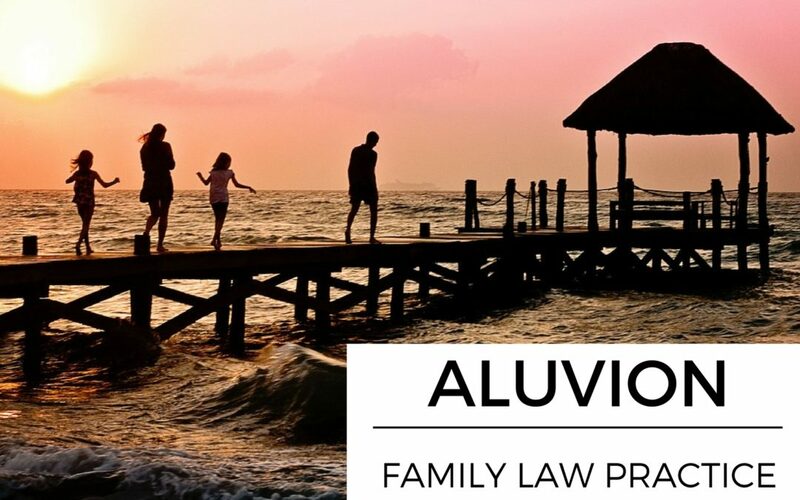 Aluvion recognizes the implications growing a business has on our clients’ home life, and we offer effective resolution strategies to any family law related matters that may arise. At Aluvion, we focus on streamlining the process of getting legal advice for your business. We offer the same streamlined approach to our family law clients. We offer creative and cost effective solutions. In addition to the full suite of family law legal services, we also offer a FLAT-FEE Divorce package. Clients have peace of mind in knowing, with certainty, the cost of their legal proceedings. Whether you are thinking about separating, have already separated, have child support or custody concerns, or are considering a cohabitation agreement or prenuptial agreement – we can help. If you wish to learn more about our services or to see if a FLAT-FEE Divorce would work for you, click here or to book a FREE initial consultation here and get started on resolving your family matters today. To read more about our family law services, click here. To set up a FREE consultation with Stephen Eaton, click here. How Aluvion is Doing Legal Differently™: Flexible Work Culture. Changing Employment Laws in Ontario and What It Means for You. © 2016 Aluvion Professional Corporation. Doing Legal Differently.